In this post we will cover an updated version for addressing VMXNET3 performance issues on Windows Server 2016. As with an earlier post we addressed Windows Server 2012 R2 but, with 2016 more features were added and old settings are not all applicable. 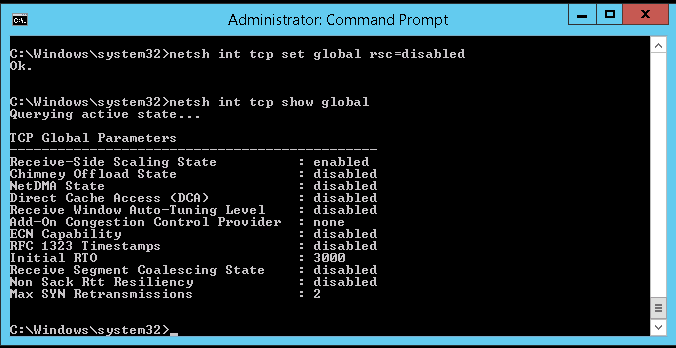 First lets disable TCP chimney, Congestion Provider, Task Offloading and ECN Capability. Update: in the past I have disabled Autotuning. A reader noted a recent update from Microsoft where disabling Autotuning can definitely limit Internet speeds, https://blogs.technet.microsoft.com/networking/2016/08/11/an-update-on-windows-tcp-autotuninglevel/. Setiing Autotuning to Normal will resolve the issue. 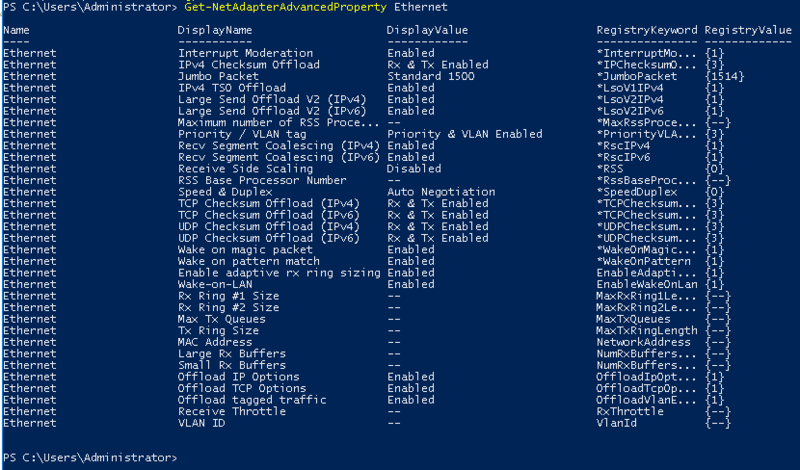 We can see the default settings before we change them with Get-NetAdapterAdvancedProperty Ethernet command. 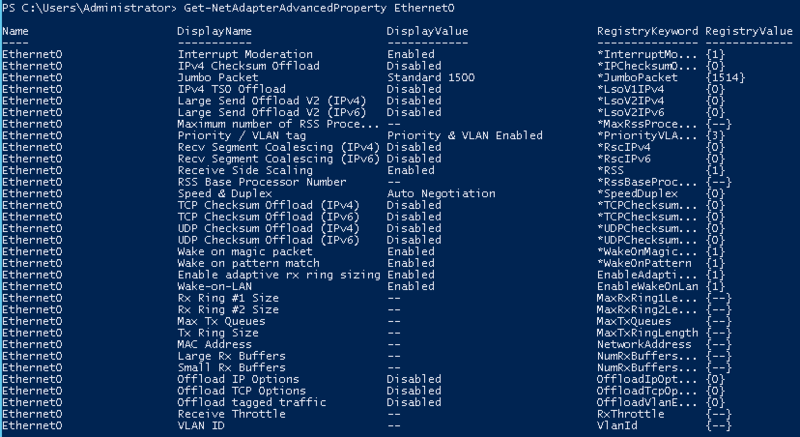 Now we can set them using the following commands in PowerShell. There are several more options available to address performance issues with Windows Server 2016 using VMXNET3 drivers from Windows Server 2012 R2 that we have covered in this post. Changing these settings should help address many of these issues. These settings have destroyed my throughput. And no matter what I do I cannot restore the defaults to get my connection fast again. Could you please give the commands to reset to default? Matt, Sorry that the settings have destroyed your throughput, not seen that happen before but it is possible depending on how your environment is setup. The commands to reset will take me a bit to get together, there are many settings, but I’ll see what I can do. Question, Are you running IPV6 in your environment? If not, you should disable IPV6 in you NIC settings I have seen it cause issues with network. Matt, Run these commands to reset back to defaults, reboot after running. these settings also had a severe negative impact on my system as well. Sorry to hear that, Can you tell me which ones affected your performance? Hello. The following command does not work on 2016. Can you provide the correct command? The picture was snapped prior to running the command, thought I got those out of there before publishing. This command has been depreciated and will no longer work. I’m curious as to your thoughts on how this works in practice. Thanks. Hello, i’m running in the same problem with windows server 2016 on vmware 6.0.